Our IPM workshops run for 3-4 hours and cover the main aspects of IPM. 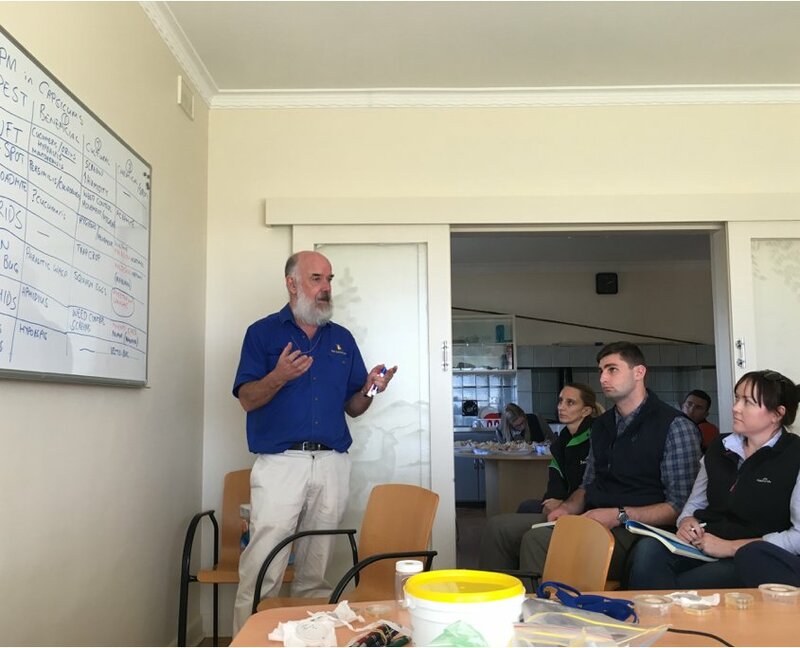 We begin with a one hour presentation, followed by hands-on training in identification of pest and beneficial insects and an interactive session to develop IPM strategies for any crops nominated by the group. 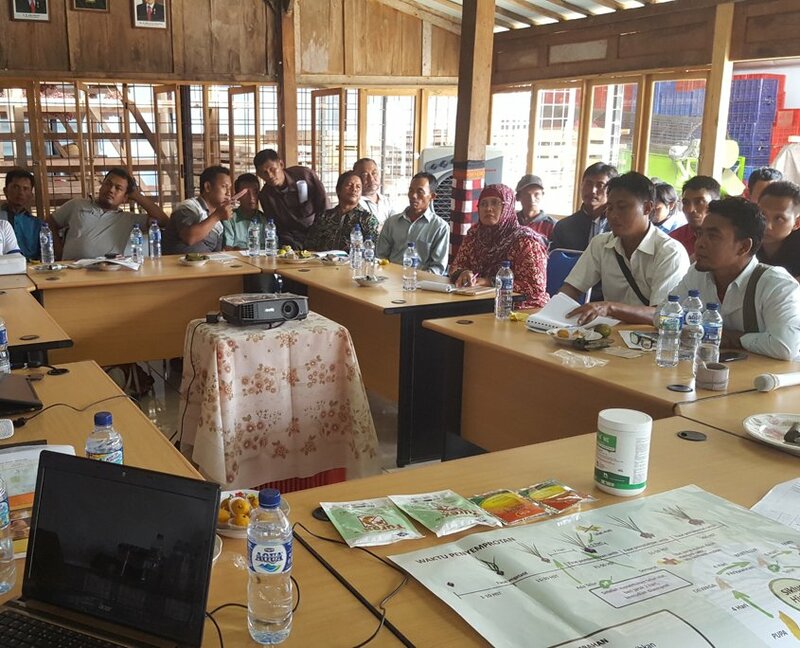 These workshops are informal and interactive and aimed at farmers and advisors. All our workshops include a hands-on training element using live or preserved samples of insects and mites. We teach participants how to use a handlens and how to monitor and identify relevant pest and beneficial species at various lifecycle stages. 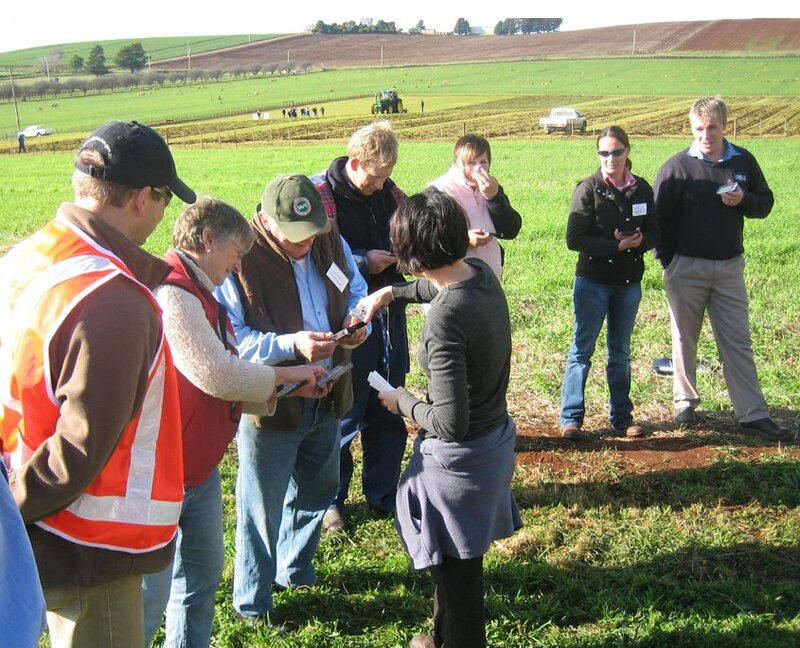 In addition to these activities, our workshops can include an in-field training session with a demonstration of monitoring techniques and IPM decision-making. During the final session of the workshop we ask participants to nominate crops in which they would like to trial IPM. We then work with participants to develop a simple IPM strategy, summarised on a single page, for each crop. Our strategies clearly demonstrate how to successfully integrate biological, cultural and chemical control options to achieve better pest control with reduced reliance on insecticides. Each workshop is presented by two experienced entomologists and we limit the number of workshop participants to 16. This ratio allows us to offer adequate attention to the training needs of each individual participant, particularly during the hands-on insect and mite identification session.